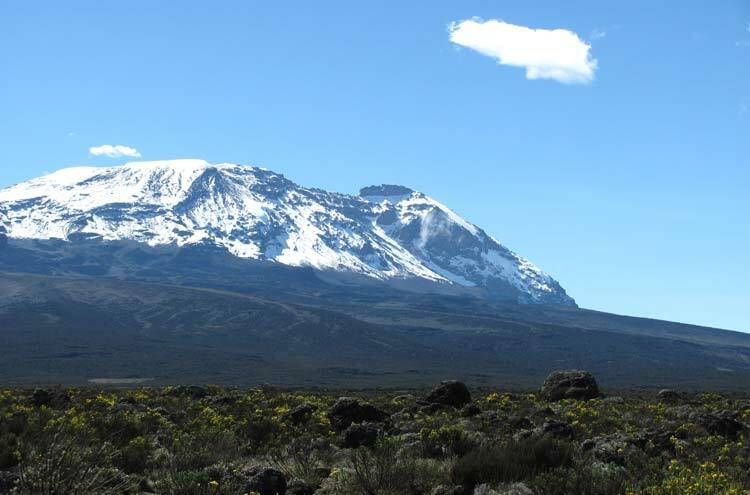 The highest mountain in Africa, a spectacular, charismatic freestanding volcano. Justly famous, but can suffer from crowding. Pass through varied ecosystems, gaze at cliffs, caves and lava fields. Catch the vast views at dawn. Six-day (or more) treks, using huts or camping on the lesser-known routes. This is a high walk and very tough, turning into an altitudinous slog at the end: be prepared. 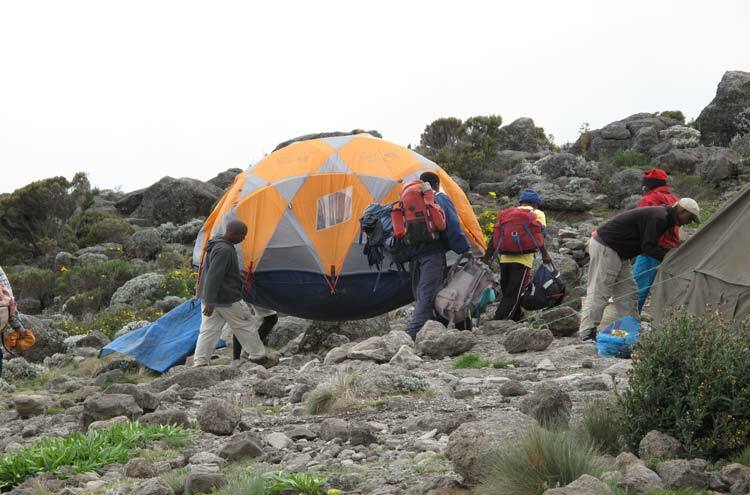 Note: Negs: altitude misery, crowds leaving huts on best known paths, miserable final slog on scree to the crater rim. 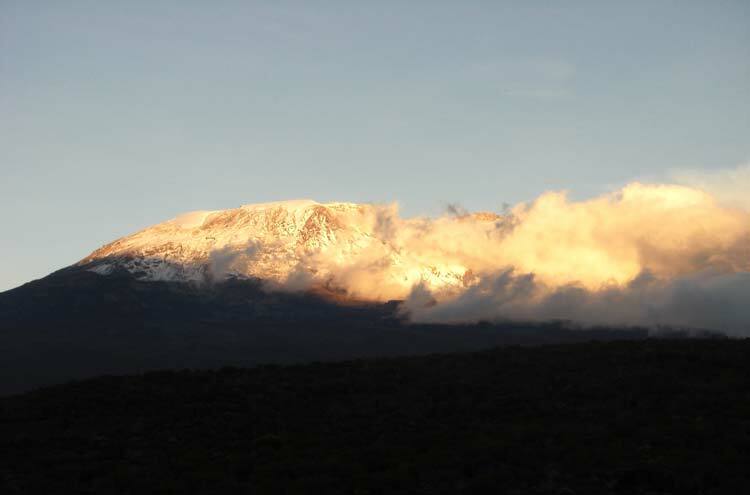 The highest mountain in Africa, and the highest free-standing mountain in the world: Kilimanjaro is spectacular, romantic and a famous bag; but the 40,000 people on the mountain each year make at times for crowded huts and trails on the summit approaches. You will feel triumph and exhilaration if you are one of the 40% who reach the peak, which your altitude misery will not wholly ruin. 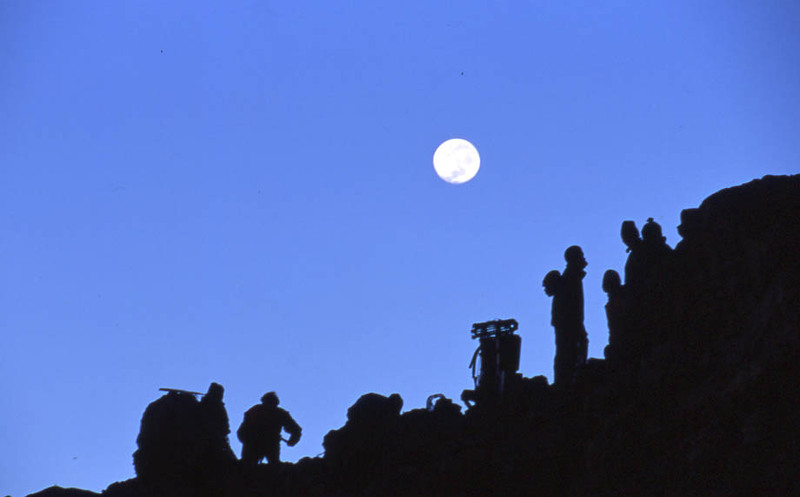 Most people, though, are too debilitated by headache, nausea or worse to manage the final ascent. This is one tough mother. 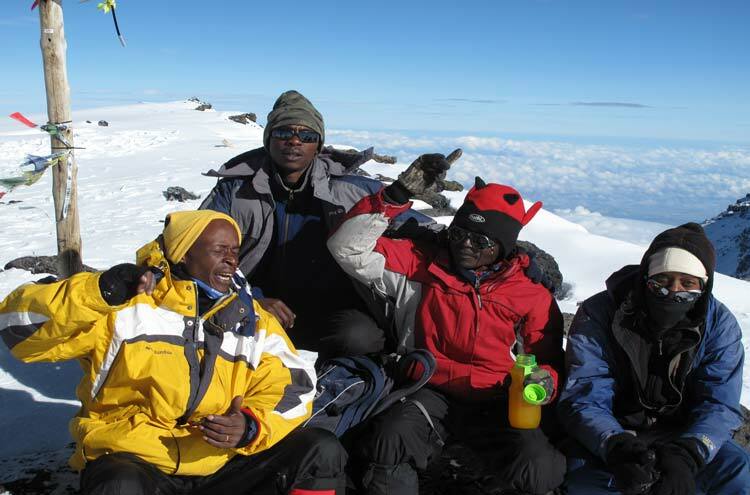 The most popular route to the summit is the Marangu (Cola-Cola) trail, from Marangu village and the Kilimajaro National Park headquarters. This is the only all-hutted route and the most direct. As a result it gets the highest numbers. There are several other routes, which are likely to be less crowded and happier experiences, but all require camping, and thus a larger and more expensive expedition. See "Routes", below. 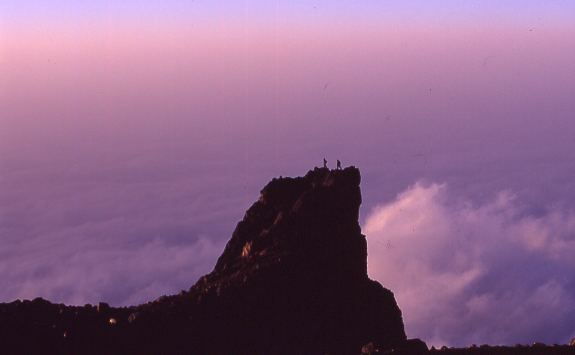 The final night-time ascent to the summit, to catch the views at sunrise, will be tough and not much fun (a long arduous slog on frozen scree, nose to the bum in front), but should be fabulously rewarding if you make it, as you gaze across the sea of clouds covering the slumbering Tanzanian plains, toward the dim outline of Meru on the pre-dawn horizon. 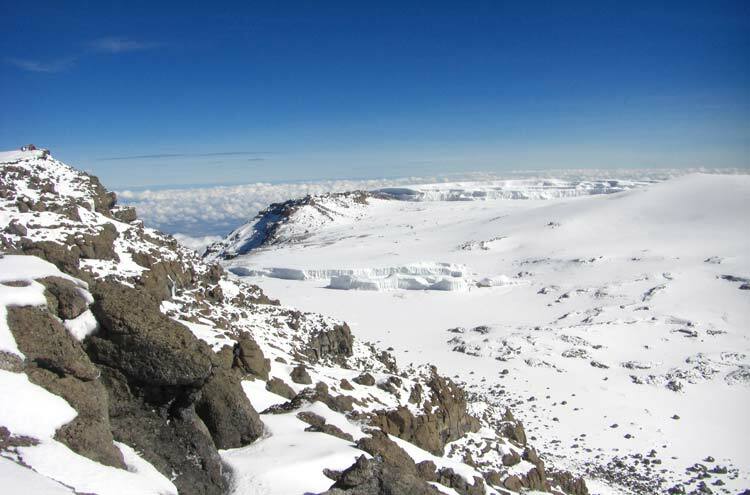 The altitude will be very tough, so physical fitness and mental preparation, as well as ample time for proper acclimatisation, will make for a more enjoyable trek and increase your chances of getting to the top. 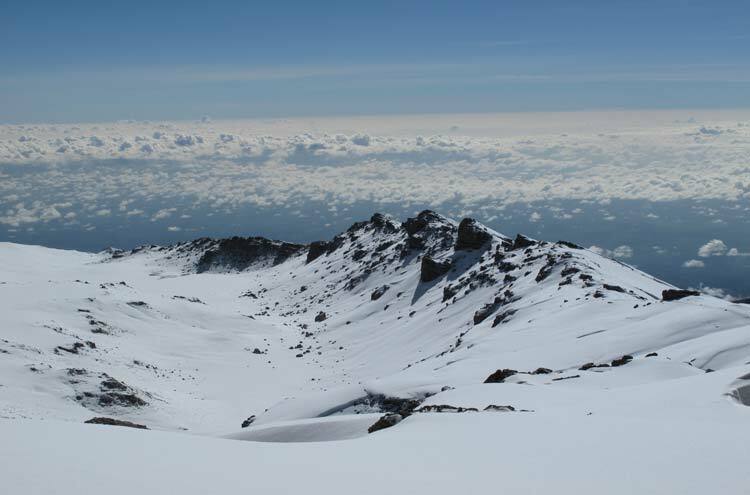 Ideally, you will climb Mt Meru or Mt Kenya (albeit demanding in their own right) as a warm-up. 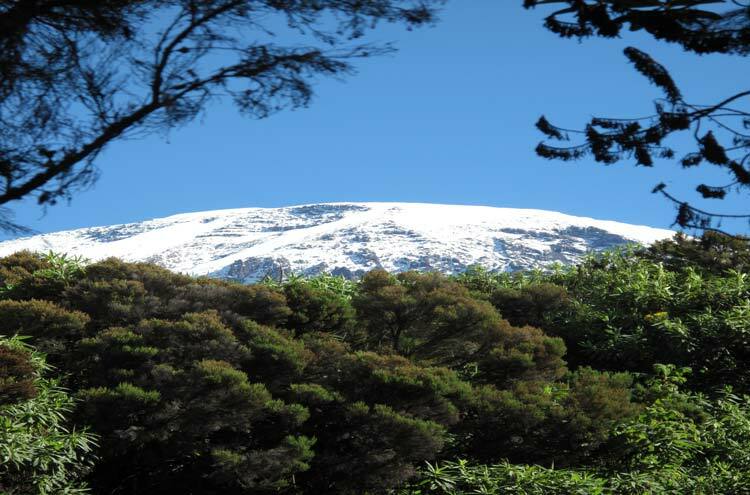 It is a requirement of the Kilimanjaro National Park to have a Tanzanian guide to ensure safety and to organise suitable lodgings/camping, food and porters (you really won't want to carry everything yourself to these heights). 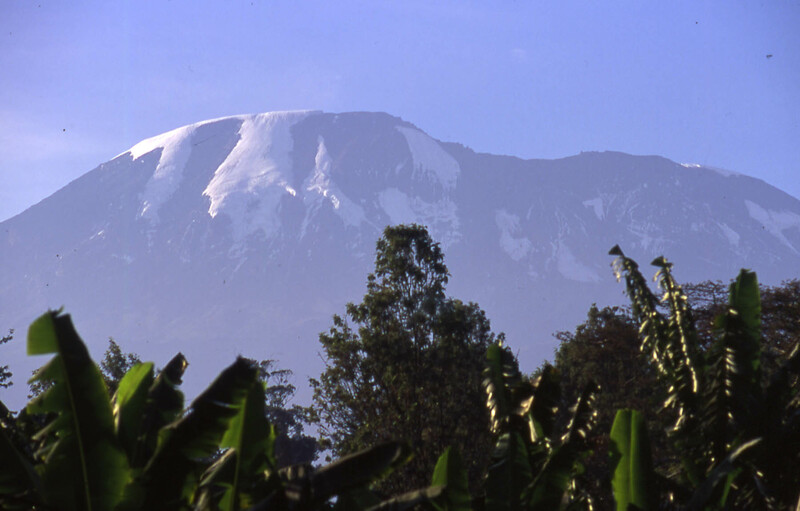 Kili patriots will be shocked that the ascent of this famous mountain does not make our Top 100. 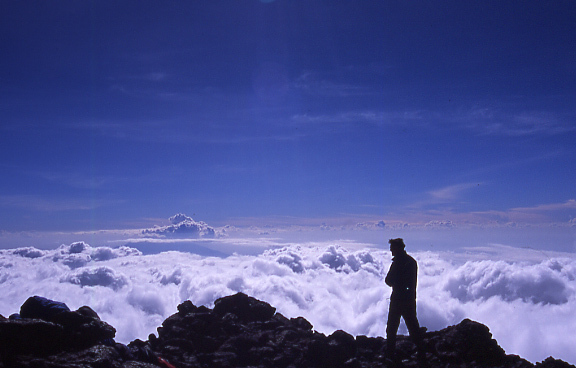 In the end, however, drama and boasting rights do not compensate for the miseries of life at 19,000 ft. 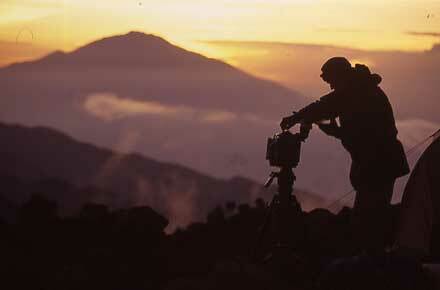 If you only have time for one mountain here, tackle Meru or Kenya. 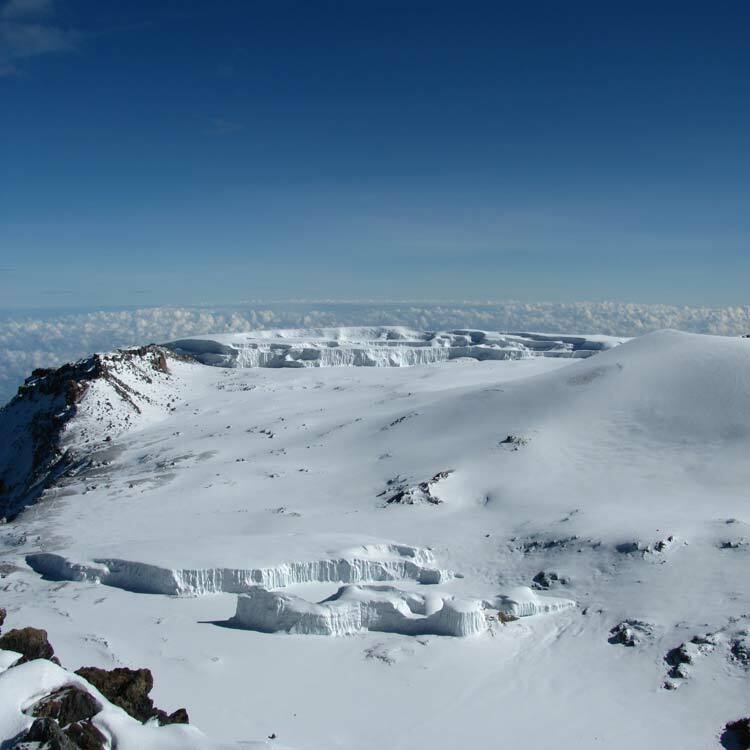 See our Kilimanjaro Massif page for further information on Kili.